Gamers from all over the world agree that Forza Motorsport is one of the top games in the race sim genre and that is why Playseat® presents a special edition game chair dedicated to this legendary game! The Playseat® Forza 4 features all your favorite Playseat® qualities, like the patented foldable design, high quality fabric and compatibility with all your racing gear. The Forza 4 is special because it's also set with the Forza Motorsport 4 logo and colors, which results in a very sporty looking chair. The comfort and stability of this Playseat® chair make sure you will experience racing games the way they were meant to be! 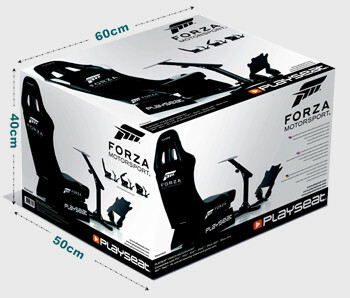 The Playseat® Forza 4 is fantastic with the original Forza Motorsport 4 game, but also with your other favorite racing games! This is the first playseat product I've got and it has worked perfectly!! 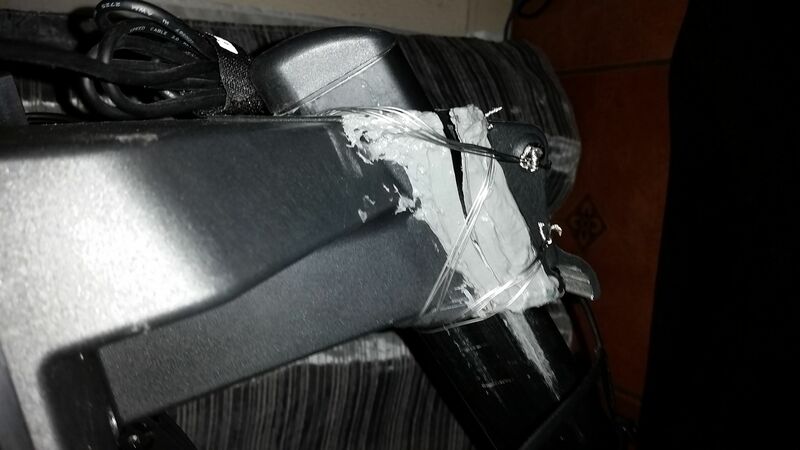 Just after some years of use the support from the wheel broke in half and I invented a solution while I was waiting for the replacement part. I'm attaching a photo of how it looked, how difficult was to play like this and showing how a passion cannot be stopped just by a "small" issue. I have been using this seat for a few weeks now and wow I really feel like a boss when playing Forza in this chair. I can easily play for hours without any problems, the seat feels great even for my old back! I’ve had the Forza 4 edition Playseat® game chair for a while now and it really is a perfect seat for the Forza game. The red looks really cool and the chair puts you in the perfect spot for using the controls. Driving a Playseat® game chair is a real experience you should try. I’m actually considering the new edition of the Forza seat but I’ll probably stick with my red edition for a while. Magnificent chair! A friend and I both bought this chair to race each other in Forza Motorsport 4 and we love it! It looks great and is very comfortable. I can sit for hours playing Forza (and other racing games) in these chairs. 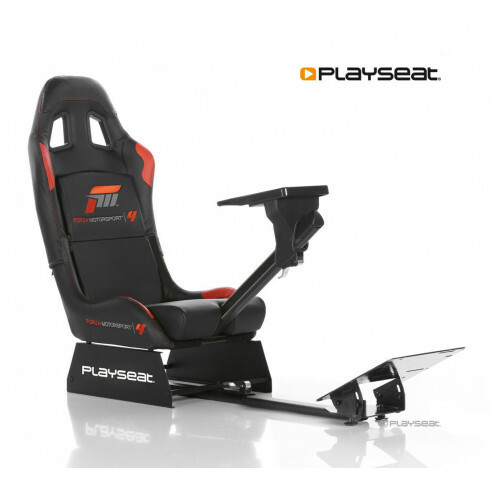 If you love racing and have the money, you should definitely get a gaming chair from Playseat! Nice adjustable chair, very happy with the way it simulates racing. Even my girlfriend likes to play games now. The seat adds much enthousiasm to my experience and makes me want to play Forza Motorsport all day.. Furthermore, it is good looking! I like the red details, which give the Forza 4 a agressive, cool look.